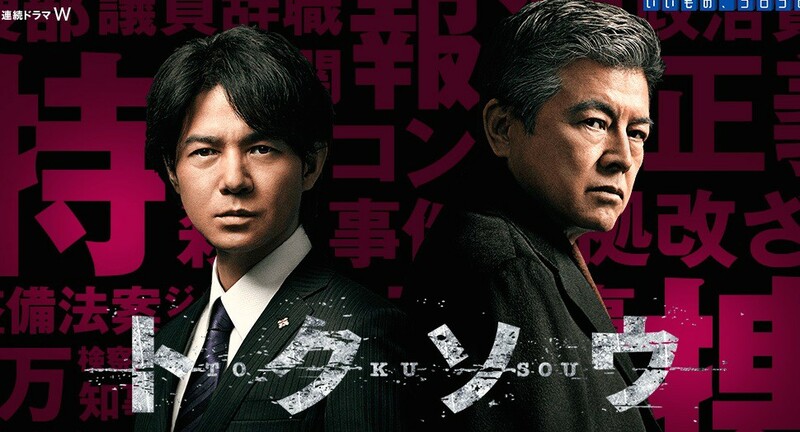 Prosecutor Toshiya Oda (Hidetaka Yoshioka) begins work under Tsuyoshi Onizuka (Tomokazu Miura) for a special prosecution team at the Chiba District Public Prosecutors’ Office. The team starts an investigation for a bribery case involving the Governor and a large construction company. Toshiya Oda is confused by the military force like atmosphere held by the special prosecution team, but he begins his investigation. Meanwhile, court reporter Tomoko Sakurai (Sei Matobu) also chases the truth in the same bribery case. To get the scoops she approaches higher level prosecution. Tsuyoshi Onizuka uncovers a memo implying a bribe should be given to the governor. Without having conclusive evidence, Tsuyoshi Onizuka maps out a possible scenario of what happened. Based on novel "Shiho Kisha" by Hideyuki Yura (published October 28, 2011 by Kodansha Ltd.).